The Lightning Bugs will take you back to when the big bands were blowing, the dance floors were crowded and the Mills Brothers helped everyone fall in love. The Bugs use smooth vocal harmonies and tasteful instrumental styling to pay respect to such masters as Duke Ellington, Nat King Cole and the Ink Spots, and they even play an occasional western tune to fill out the show. 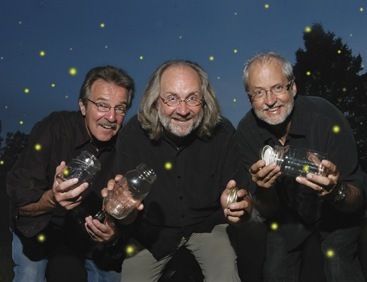 The Bugs will play a short acoustic program at a local nursing home or senior center at no additional charge. Technical Requirements: 10' x 15’ space with electrical outlets. In outdoor setting, shelter for microphones.